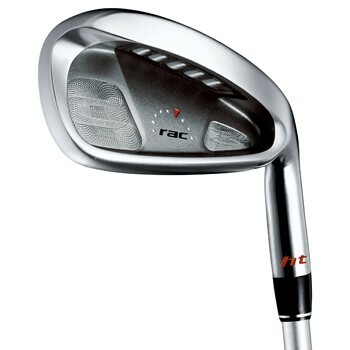 The TaylorMade rac HT irons each feature a low and deep center of gravity which combines with an oversized cavity-back head for incredible forgiveness. 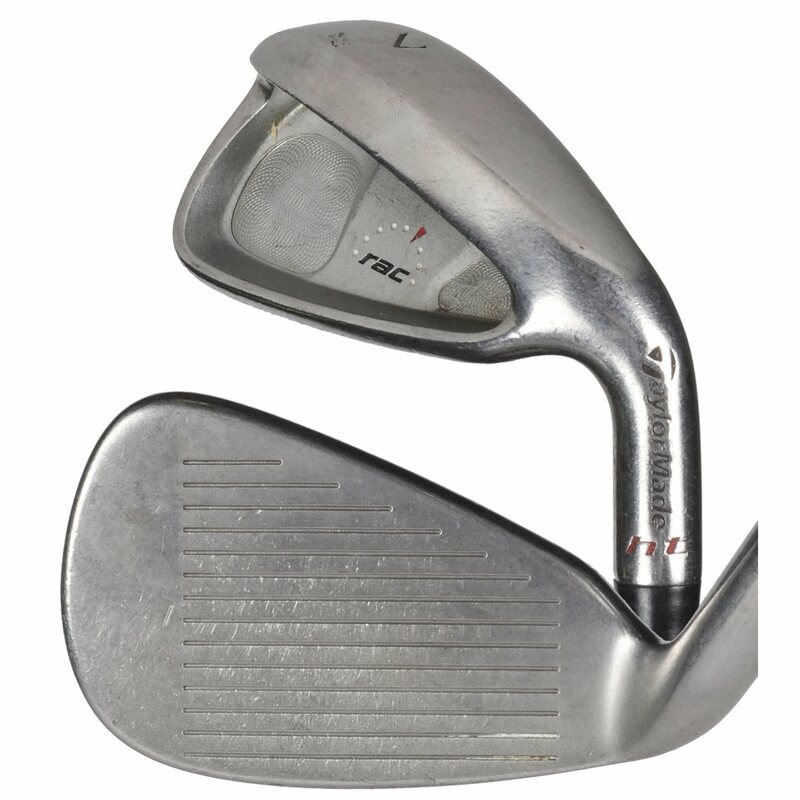 The Tuned Performance Cartridge in the back of the sole provides the player with unmatched feel in an extremely playability iron. No Label Steel Shaft Only... What does that 'NoLabel' mean? 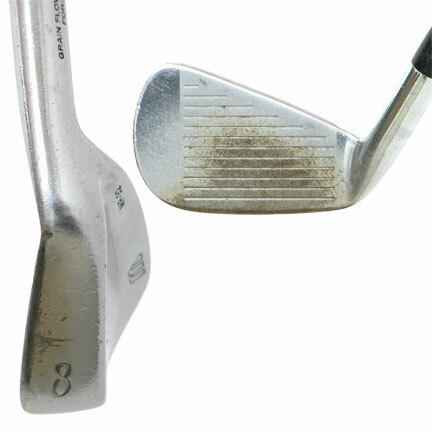 The clubs were received without the shaft labels so we cannot verify the make and model of the shafts. I hit a pretty low, piercing ball, even with my irons. So I was interested in giving these clubs a try sight unseen, knowing about Global's great return policy if they didn't work out. Happily, that wasn't the case. I took them on a vacation round for their first test and hit 7/9 greens on the front (the two misses being caused by poor drives). These greens were pretty hard yet I was able to easily hold them thanks to my new, higher flight. Even on a long par 3 with a 5-iron, I stopped it dead! I gained about a full club's distance due to the increased hang time. The only negative I've found is that when I try to work the ball (which is seldom), the ball just doesn't come back as far as I planned, so I've had to make a few adjustments. I credit these clubs for the majority of the 5 strokes I shed from my handicap last year.